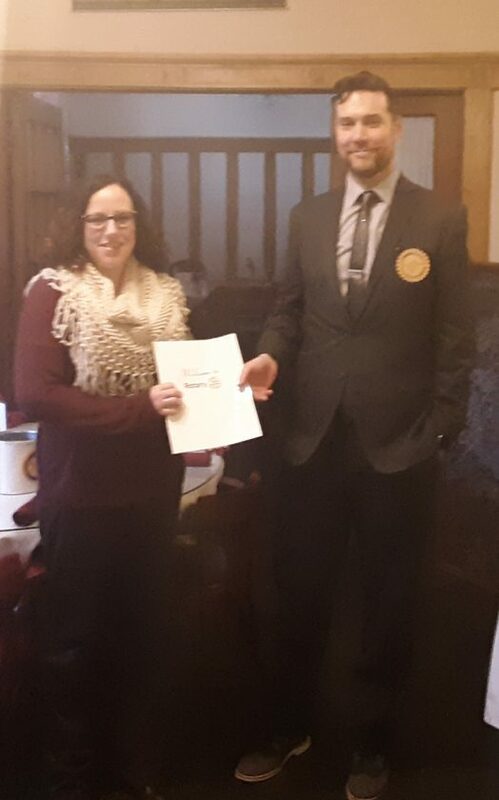 Courtesy photo At left, Sarah Slagstad, the newest member of the Escanaba Rotary Club, receives a welcome kit from her sponsor, and husband, Jeff. Rotary is an international service organization. The Escanaba club’s primary focus is kids, particularly children with ­special needs. At left, Sarah Slagstad, the newest member of the Escanaba Rotary Club, receives a welcome kit from her sponsor, and husband, Jeff. Rotary is an international service organization. 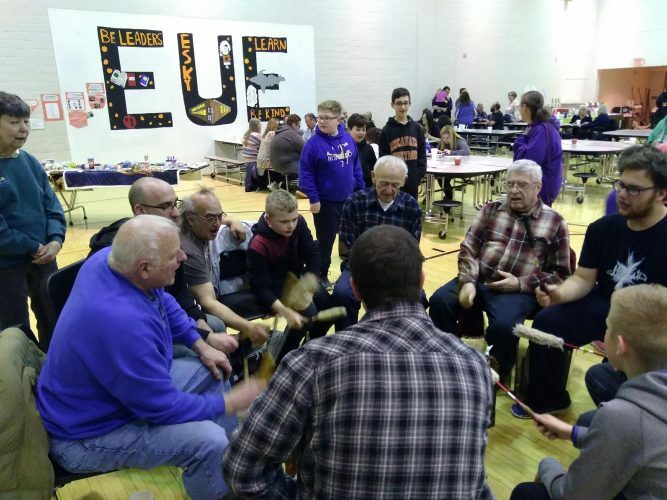 The Escanaba club’s primary focus is kids, particularly children with ­special needs.